Merry Christmas and a Happy New Year Dear Audience. I’m covering all bases because we have just had one big event (Christmas) pass by and this will be the last trailer post of 2014 before we get to the next (New Year). I hope everyone reading this is in good spirits and has had a great holiday. I have. I spent time with friends and family and got some cool presents which will allow me to watched a lot more films! I also gobbled a lot of posh chocolates and biscuits and Christmas dinner. 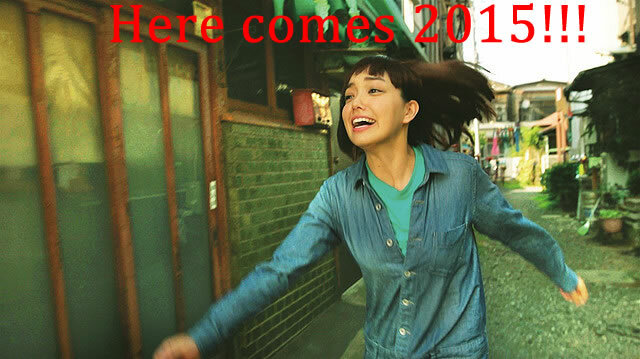 Going back to films… I watched a bunch of including Blue Jasmine, Mai Mai Miracle, Dagon, and Plastic Love Story, played catch-up with Garo, finished Gugure!! Kokkuri-san and Psycho-Pass 2 and was left devastated by the latest episode of Parasyte. Also, I thought that the Christmas special of Doctor Who was rather good (better than the ones of previous years). If only the preceding series had been as fun. I cannot believe a year has passed by so I have a bunch of end of year posts geared up and ready to roll out over the next couple of weeks. I thought that for my final film review of the year I’d go with one that touched my heart a lot and selected Kimi no Tomodachi. 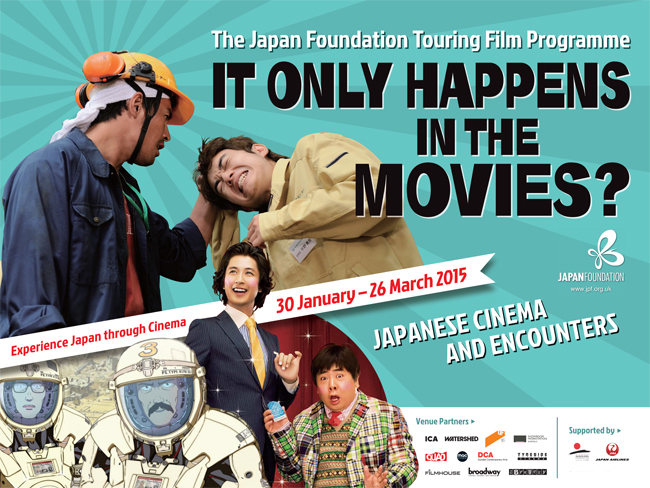 What are the final set of theatrical releases in Tokyo this weekend? A train cuts through expansive fields under wide blue skies. As it meanders along the track the landscape changes, the line edging through hills crowded with the houses of a quiet rural town in Japan. 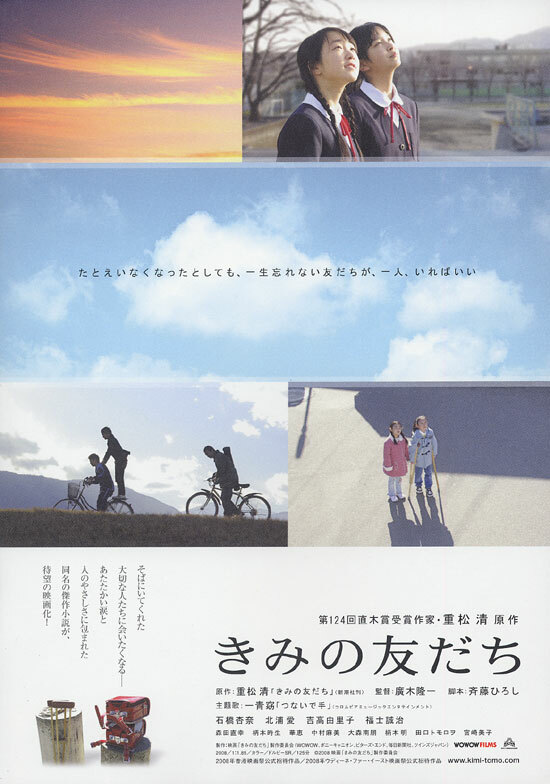 Once it reaches its destination off the train steps a journalist named Nakahara (Fukushi) who is heading to a school for disabled children with the intention of making a documentary of the place. He tries taking pictures of the kids and interviewing them but the pupils are all shy around him and avoid answering questions. However, with their teachers they bounce around in class, giggle and get involved with lessons and display a sense of liveliness and excitability, ingenuity and originality in the way they see the world. One teacher in particular is very popular with the children and she catches the eye of Nakahara. Her name is Emi (Ishibashi), a young woman who attends college and volunteers at the school. She uses a crutch to walk and seems introverted but the kids adore her. One of the things she does is to take photographs of clouds and allow children to pick their favourite ones and take them home when they graduate. Hello, dear audience! I hope you are well! This is the last trailer post before Christmas so…. I also watched the films Dagon (2001), Tokyo Park (2010) again, and Kotsutsubo (2012). In terms of anime, Gugure!! Kokkuri-san has rocketed up the anime charts with its latest episode and I’m really enjoying Garo a lot as well. I’m glad that Psycho-Pass 2 has finished and while writing Christmas cards I was watching A.D. Police. And that’s about it for stuff that I have viewed. As for what I will view in the future… I posted about the Japan Foundation Touring Film Programme for 2015 and I have a good idea about what I want to watch and what I’m willing to skip. What’s released in Tokyo this weekend? The film line-up has a huge variety of styles, genres, and tones covered from comedy to serious drama and films from various eras with an adult drama set in1950s Japan all the way to one about teens in uni falling in love in contemporary Japan. 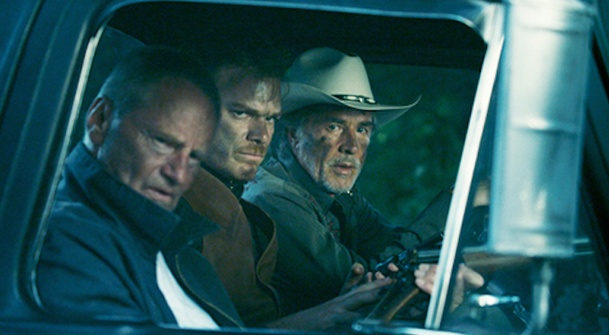 The year is winding down now so theatrical releases are getting thin on the ground. Give it a month and we’ll be back to 10+ a week and I’ll be crying over how little time I have and how I wish I was working with someone again. As far as my movie/anime viewing goes, I went to see Wong Kar-Wai’s latest film, The Grandmaster, and was wowed by Parasyte yet again. Gugure!! Kokkuri-san is shaping up to be one of the best anime of the year ad I expected cheap laughs. 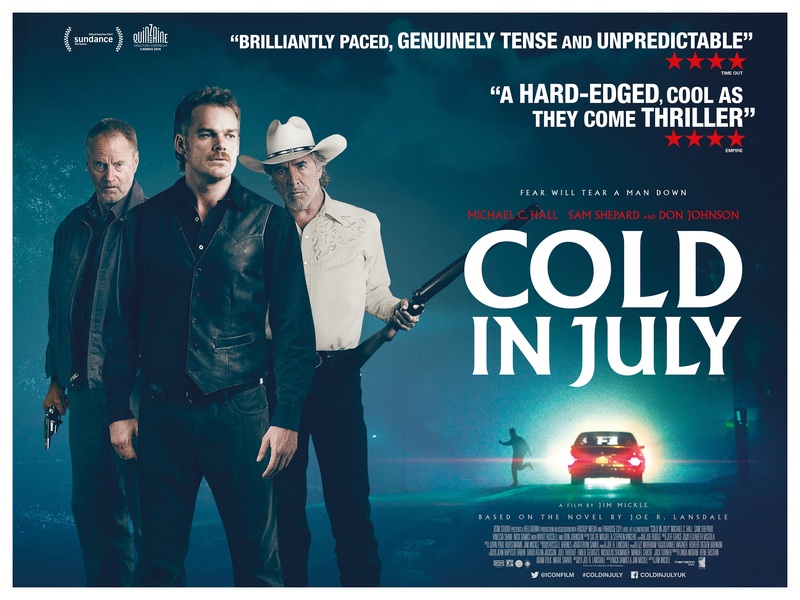 I also reviewed Cold in July and previewed Hana to Arisu: Satsujin Jiken. I write for a few websites and one of them is Anime UK News which is where I publish anime season previews. 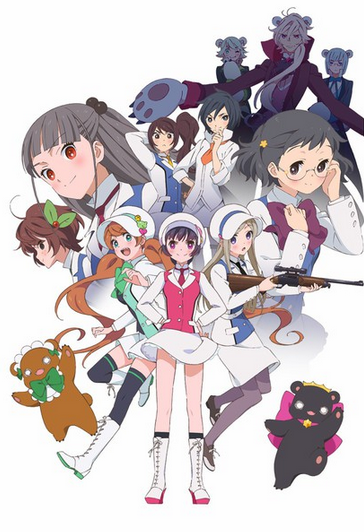 I have written about a lot of TV anime but there is one special anime film I want to share with users and that is Hana to Alice: Satsujin Jiken which is in the first part of my season preview. 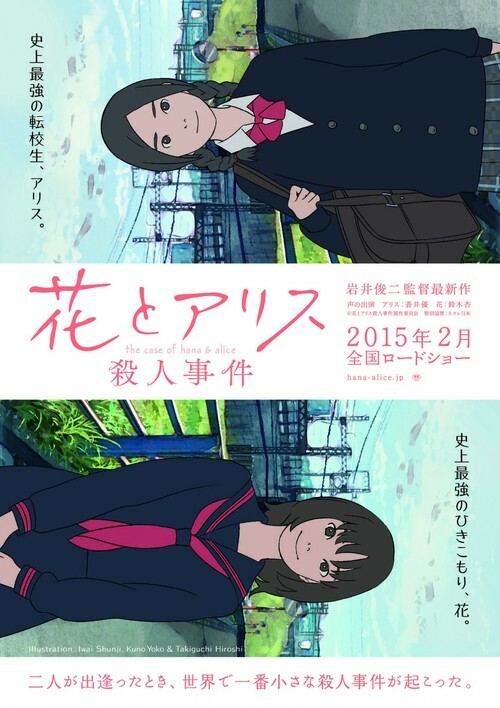 This is the prequel movie to Shunji Iwai’s wonderful 2004 coming-of-age film Hana & Alice, the film which was the break-out title for two totally talented actors Yu Aoi and Anne Suzuki who respectively starred as Alice and Hana, two school girls in an intense friendship who both experience love for the first time. Hana to Alice: Satsujin Jiken tells the story of how the girls first met and it is apparently through the world’s smallest murder case. Director Jim Mickle and actor/writer Nick Damici have had a run of horror films with alternative zombie plague chiller Mulberry St (2006), downbeat and savage dystopian vampire film Stake Land (2010) and the remake of the Mexican cannibal film, We Are What We Are (2013), but here they trade genres opting to go for a pulpy thriller based on a novel by Joe R Lansdale. I hope you are well and prepped for another Saturday full of trailers and badly translated rambling notes (I should work with a native Japanese speaker…). It’s coming up to that time of the year where everyone throws out their Top Ten whatever lists and I’ll try and do that. I’ve also given some serious though about actually going to Japan instead of constantly writing about it and promising to go. I have started to compile lists of places to visit and contacted friends in Japan. I’ve also taken to speaking Japanese a lot with friends from Japan a lot more than usual. I can go through whole conversations speaking nothing but 日本語　- basic stuff like polite form and describing things, desires and so on (ために practice today) because I find it’s easiest when speaking on the fly – even if some of it is wrong. Well, that’s for next year, coming up next is Christmas and I get a few days off to write a lot and merriment and whatever. In terms of films, I watched Rurouni Kenshin: Kyoto Inferno for a second time at the cinema and took a friend from Japan with me. We both loved every bit of it and we’re eagerly anticipating the next instalment as is my mother who I took the first time round. 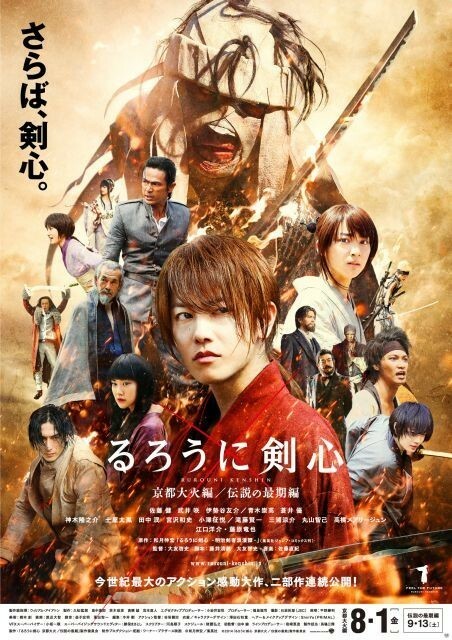 Kyoto Inferno is going to be my first review for the New Year (one more Western film and then a lot of Japanese films). I also watched Ichi the Killer and posted about the film Edge of Tomorrow (2014). Up over on Anime UK News are the previews for the winter 2015 season of anime. Part One and Part Two have key images and PVs!!! 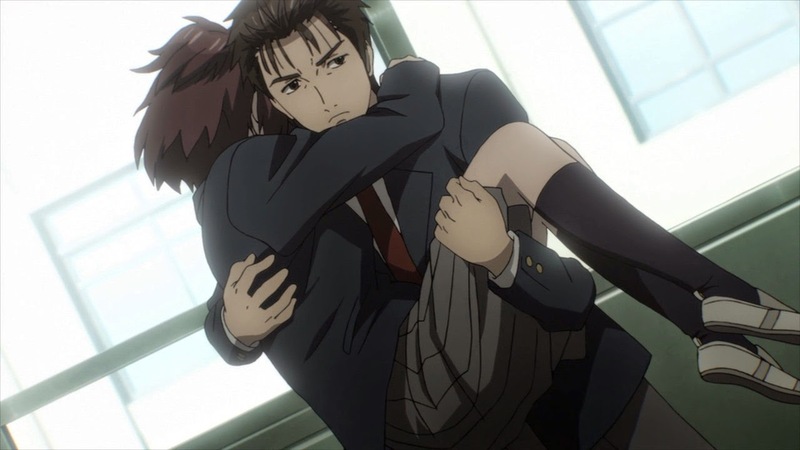 Also… Episode 10 of Parasyte was brilliant. That was one of the most excruciatingly tense and scary episode of anime I have seen in a long time. 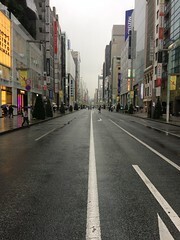 What’s released in Tokyo this weekend? The films released over this weekend are diverse but there are only two killer titles for me: ESP Research Club’s 3 Members and Hoozuki no Reitetsu. Tom Cruise dies in this one. Not that revealing his character’s death spoils the movie. 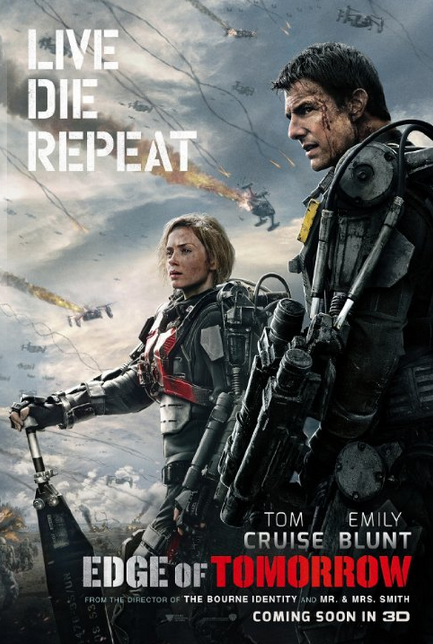 Edge of Tomorrow is based on a novel where the main protagonist dies quite a bit. That’s what makes the film surprisingly fun. Of course, A-list Hollywood actors can die and even Tom kicks the bucket in a number of his own films like The Last Samurai and Collateral but few films take great delight showing Tom get crushed, shot, impaled, drowned, blown up, and more in all manners of inventive and grisly ways over and over again in a smart and surprisingly vicious sci-fi war movie.